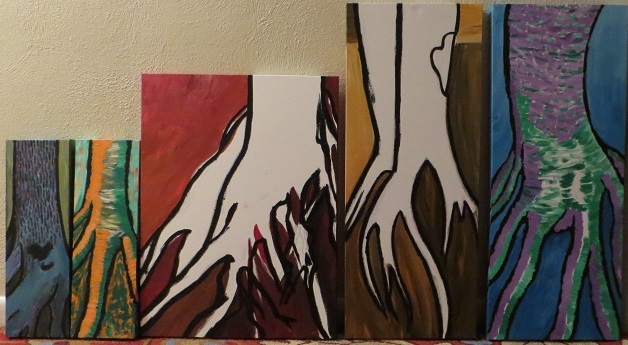 I’ve started a new series of paintings collectively called “Roots”. 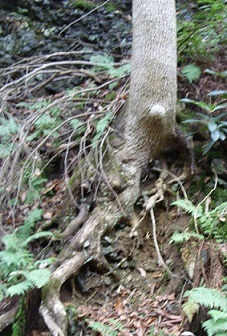 While hiking last autumn, I marveled at the intricate root systems jutting out from trees growing on the hillside along the trail. 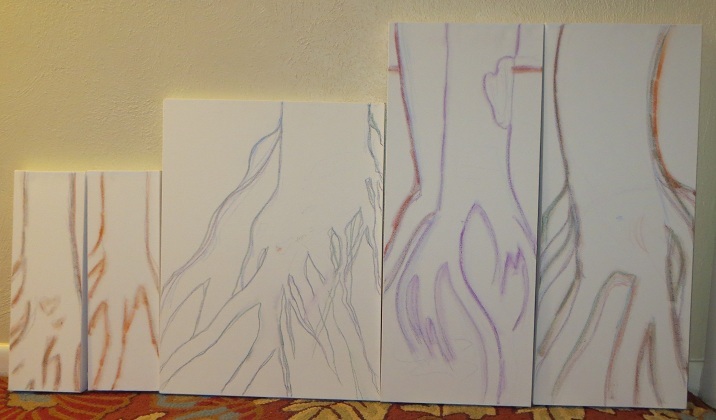 The roots meandered in & out of the soil, animating trees that seemed so solid & stoic. I took several photographs, knowing they would be subjects of later artwork. I find a comforting familiarity when Mother Nature speaks to me through the chirping of birds, the look in a doe’s eyes, or the rustling wind in the fuzzy limbs of a fir tree. As I walked the damp, leaf-covered trail that grey autumn afternoon, these roots beckoned me to come closer & hear their message. “Stay grounded & rooted in the present.” In my energy work & shamanic practice, I completely understand the importance of being grounded. 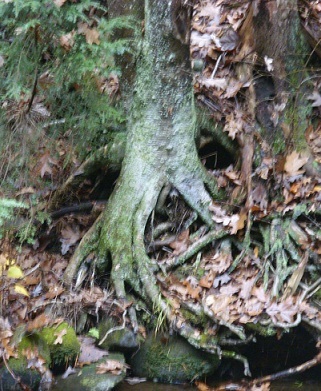 Roots are the perfect symbol for that message, being both roots and “rooted” & reminding me to stay connected to all that is. When thoughts and emotions run high, leaving us in a state of “dis-ease”, we can find comfort in nature… standing barefoot on the land…gazing at the clouds… letting snowflakes settle on our upturned faces… listening to the rain with eyes closed… allowing ourselves to be children again. This sacred connection to the earth can relieve symptoms of dis-ease before they manifest in the body as disease. Nature inspires me in all of her wondrous forms. Roots are no exception. Here are the first two stages of my artistic process. I hope to share the finished work with you soon. Caran D’Ache water-soluble pastels are perfect for sketching directly onto canvas. Playing with color combinations… with varying degrees of success. This entry was posted in Art and Soul, It's All Connected: Spiritual Musings, My Love for Nature and tagged art, beauty, color, creativity, earth, healing, life, nature, pagan, spirituality by puresusan. Bookmark the permalink.